Is a polygraph test admissible as evidence? Although many cases in movies use polygraph tests as evidence, in reality, a polygraph test is not admissible as evidence. 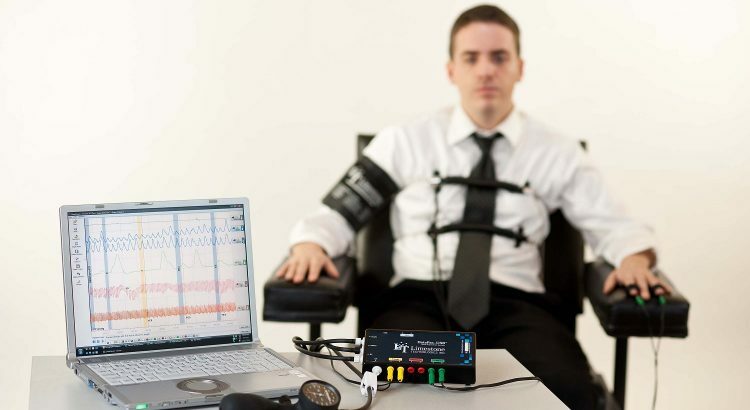 The main reason behind this is the fact that a polygraph only measures the biological processes that occur when a person is questioned like a person’s blood pressure or heart rate variances. Although these indicators are considered to increase when a person is under stress when lying, they can also increase if a person is nervous. To reduce false positives, law enforcement personnel are trained to ask questions in a way that the respondent cannot only answer yes or no. In some cases, people can also evade the detection of a lie by faking physical activity like sneezing when a person is not lying, causing the whole test to look inaccurate. Due to this reason polygraphs have been challenged on several occasions, because the result of the polygraph can mean many things. However, lawyers still request for a lie detector test in some criminal investigations. In most cases the interrogator will trick the subject by indicating that the results are not in favor of the subject, this has often cause subjects to confess. If, however, both parties agree that the result of the polygraph is admissible, it then can be used as evidence. Polygraphs can also be used to screen candidates for specific jobs that require a high level of security. A construction project can be complicated since there are many parties involved in one single project. Most projects will include numerous owners, contractors, subcontractors, suppliers, and laborers to help create a building that meets all federal, state, and local regulations. If a construction project gets delayed in one area, the problem can snowball into other areas of the project causing expensive equipment to be left idle, and manpower left unused. Often litigation is used when delays occur, and they are broadly categories as disruption claims and delay claims. Delay vs. disruption – Delays are considered as single acts or events that cause conditions that cause the project to be delayed as initially planned. Disruption, on the other hand, can include the effects of a single problem or multiple other delays, and can also include interruptions to the supply line and other work activities. Both categories are linked as delays can lead to disruptions, and disruptions can lead to delays. Making claims – To make a claim it is essential that parties are aware of their contract. To ensure your case is strong it is advisable to meet with a construction lawyer who will be able to determine if the claim is worthy, based on the delay or disruption. An experienced construction lawyer will be able to identify the end dates of individual projects and how the delay or disruption affects the construction plan. Written by Lyle Charles. An expert in commercial and residential construction and managing construction delay claims.